The unique beauty and appeal of fancy cut diamonds make them the perfect choice for gifts of the season. Shoppers now have a wide array of choices, so there is something for every taste. 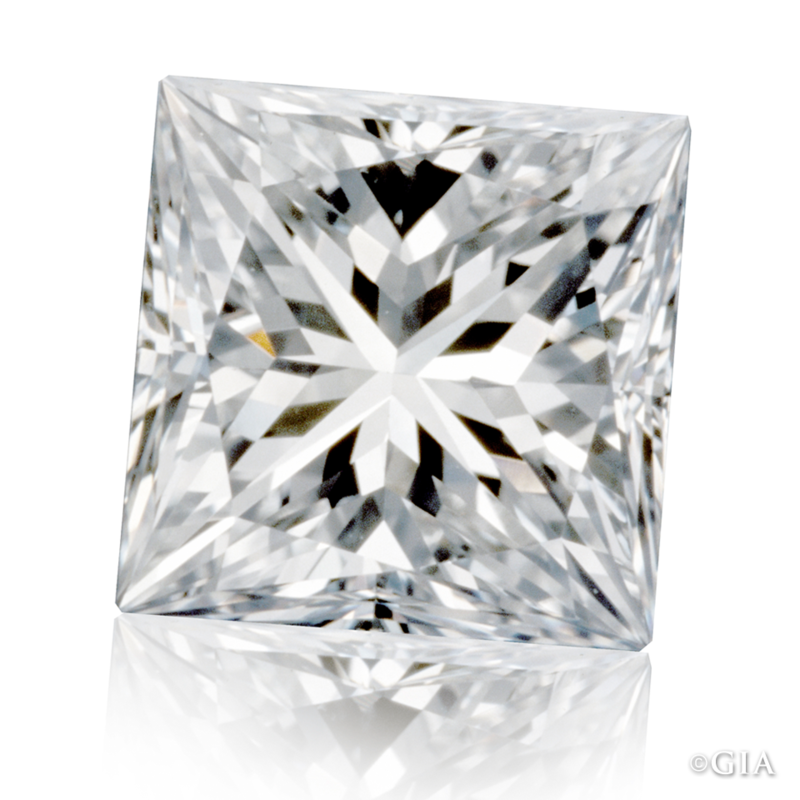 In this installment of our 2013 Holiday Buying Guide series, you will learn about some of the special characteristics of fancy cut diamonds before you ever step into a jewelry store.If you’re already familiar with the4Cs of Diamond Quality, you know how GIA grades the color and clarity of colorless diamonds, and how GIA evaluates cut for round brilliant cut diamonds. But if you don’t know the difference between diamond shape and diamond cut, you might want to take a quick refresher before reading on. In selecting your fancy cut diamond, it will be important for you to know if the diamond is well cut. If it is too shallow, there could be a greater risk of chipping the diamond. If it is too deep, it may appear to be less bright. 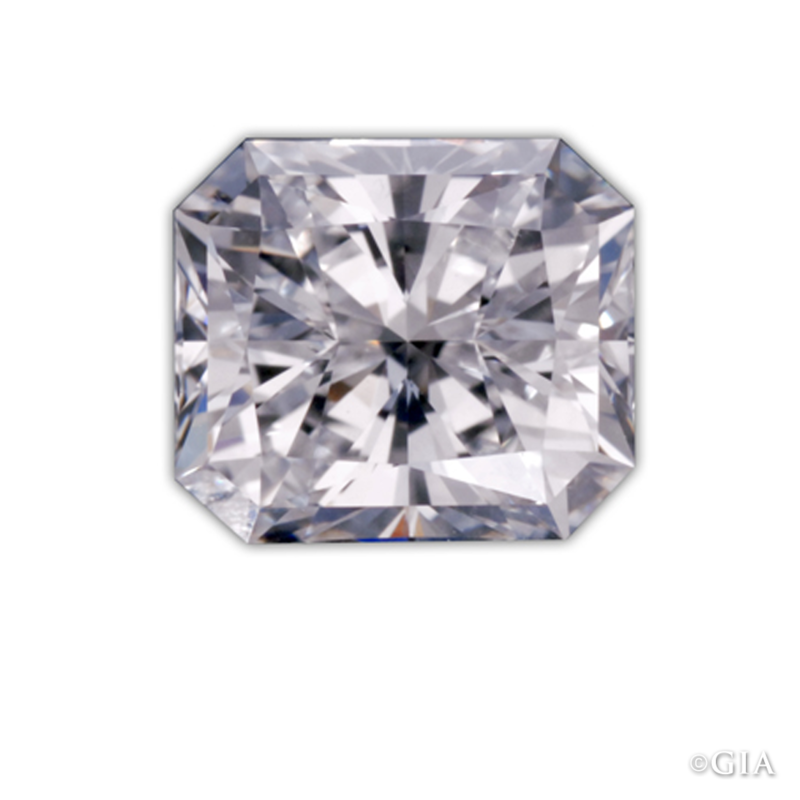 While GIA does not grade the overall proportions of fancy cut diamonds, a GIA Diamond Grading Report does contain an assessment of the diamond’s Finish, which includes Polish and Symmetry. 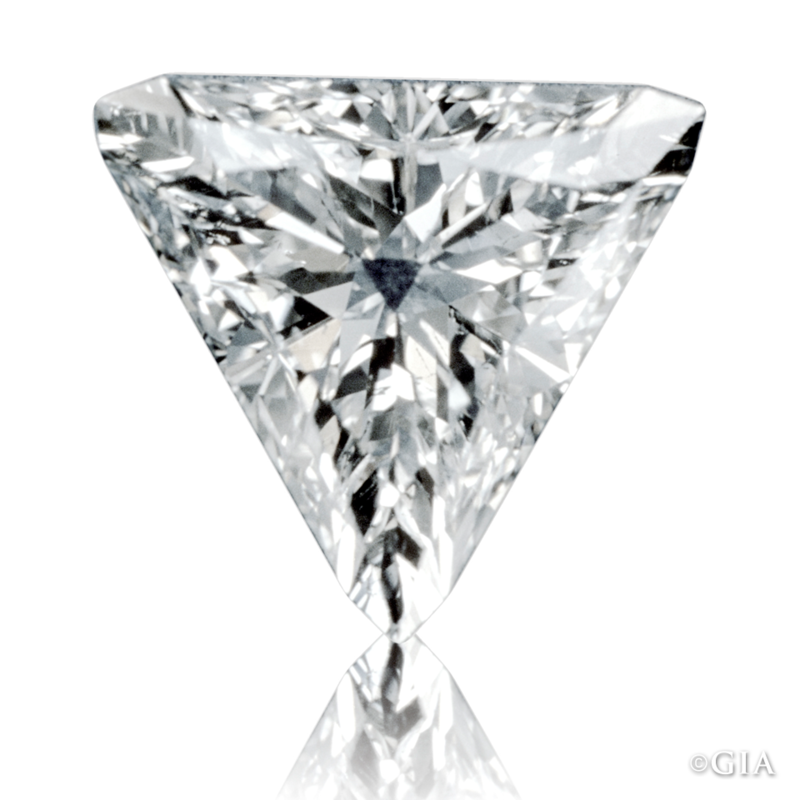 When the report denotes these as “Excellent” or “Very Good,” it’s an indication of the diamond’s cut quality. You don’t have to be a diamond expert, but understanding the distinct features of each shape will help to ensure a smart purchase. Oval is a shape that pairs well with other shapes of gems in multi-stone rings. Ovals have the added benefit of appearing larger because of their elongated shape. 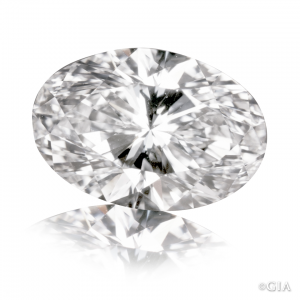 When selecting an oval diamond, look for even, well-rounded shoulders. Your personal preference will likely decide which width of oval is more appealing, however the optimal length-to-width ratio is 1.33-1.66:1. Ovals cut in the brilliant style display a brightness similar to round brilliant cut diamonds. Oval brilliant cut diamonds often display a “bow-tie.” Seen with the naked eye, this is a dark area which looks like two triangular pieces joined in the center of the stone. When the diamond is viewed face-up, you want the “bow-tie” to be minimized as much as possible. Symmetry is an important factor for all fancy cut diamonds. Even the smallest difference can create an appearance that is not balanced. Check that each half is a mirror image of the other, and for marquises that the two points align. Like oval, this shape pairs well with other gem shapes in multi-stone rings, and if a prong mounting is chosen, V-shaped prongs will help protect the points. If a marquise shape is too long, it could impact its durability. Look for a length-to-width ratio of 1.75-2.25:1. 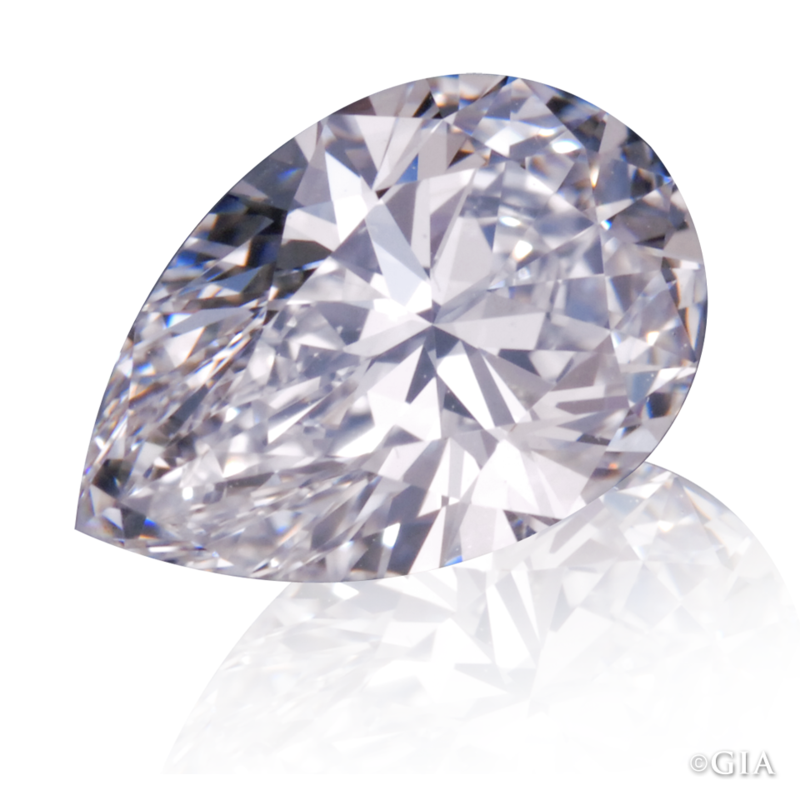 Like the oval, the marquise diamond that is cut in the brilliant style should be examined for a “bow-tie” effect, and the points of the marquise should be examined for inclusions. Like all fancy cut diamonds, the pear diamond comes in a variety of proportions, however the preferred length-to-width ratio should range between 1.50-1.75:1. If a prong setting is chosen, it should include a V-shaped prong at the point because that will help protect it from damage. An obvious symbol of love and romance, the heart-shaped diamond should have two identical halves, and the cleft should be distinct. The wings and lobes need to be even with the lobes curving down the cleft. 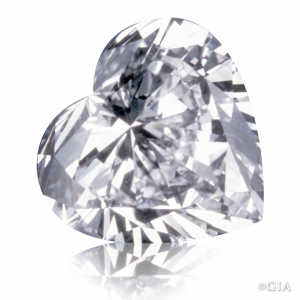 It may be difficult to perceive the heart in a diamond of less than .50 carats. For smaller size stones, a bezel or three-prong setting better preserves the shape. 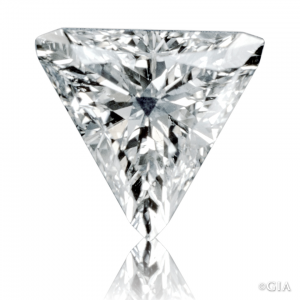 You’ll often encounter triangular-shaped diamonds cut in the brilliant style, referred to by jewelers as trillion or trilliant. While this shape is sometimes set as a solitaire, it’s more commonly used as side stones in a multi-stone setting. Attention should be paid to clarity, since even small inclusions may be more visible in this shallow shape. The preferred length-to-width ration is 1:00:1. A protective prong setting is recommended to keep the sharp points from chipping. Square diamonds are spotted almost daily on celebrity fingers this year. The halo setting used for brilliant cut square gems was one of the most popular engagement ring trends of 2013. The list of cuts available for square shapes is a long one. 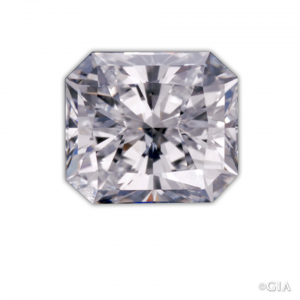 Some of the trade names you may come across while shopping include Asscher, barion, cushion, princess, radiant and Quadrillion (as pictured below). All sides should be parallel. Similar to square shapes, there are numerous cuts for a rectangular look including baguette, barion, emerald cut, and radiant. Avoid uneven, narrow or no corners and sides that are not parallel. 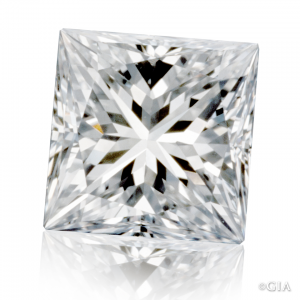 The emerald cut or a square step cut will require higher clarity since inclusions might be easier to see. One general shopping tip for fancy cut diamonds is to view them in daylight. Pricing of the various shapes can be complicated, so it’s best to compare stones of the same shape, cutting style and similar carat weight. Ask to see the grading reports for the diamonds you are considering. 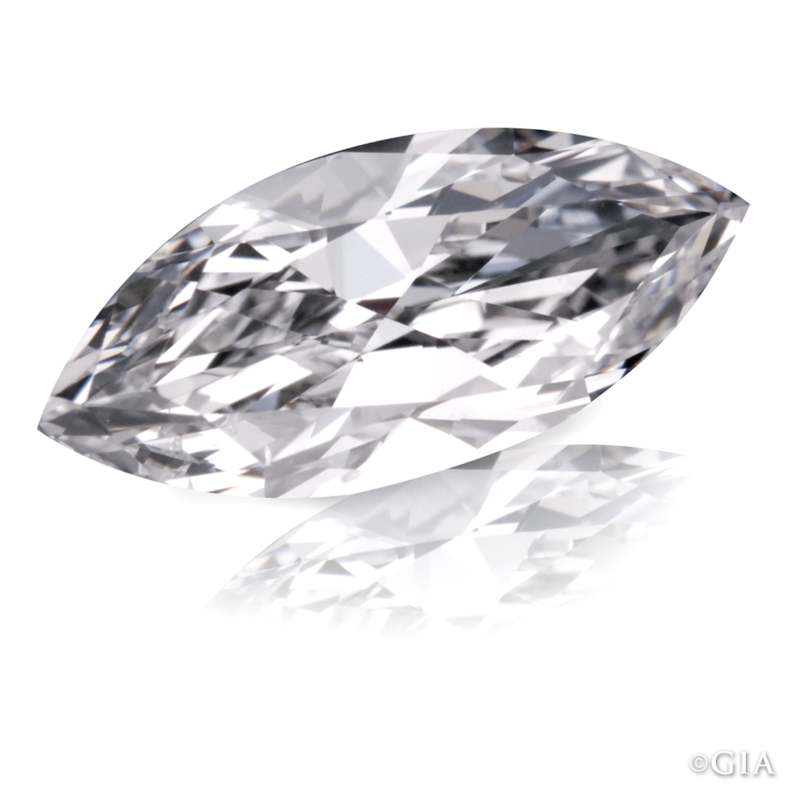 They will help you compare each diamond’s quality factors.